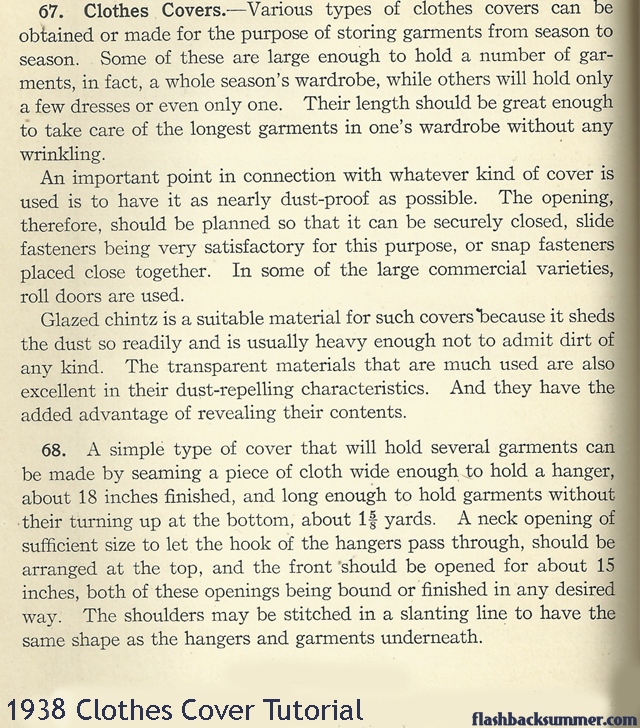 Today I've got some fun tidbits from the 1938 book series on sewing from Mary Brooks Picken at the Women's Domestic Institute! I always oooo and aaaaah over fancy closets I see in home decor shows and on Pinterest, but I'm always put off by the prices required to build or install them. Not to mention, I'm a renter! I can't just be putting holes in things and knocking down walls! 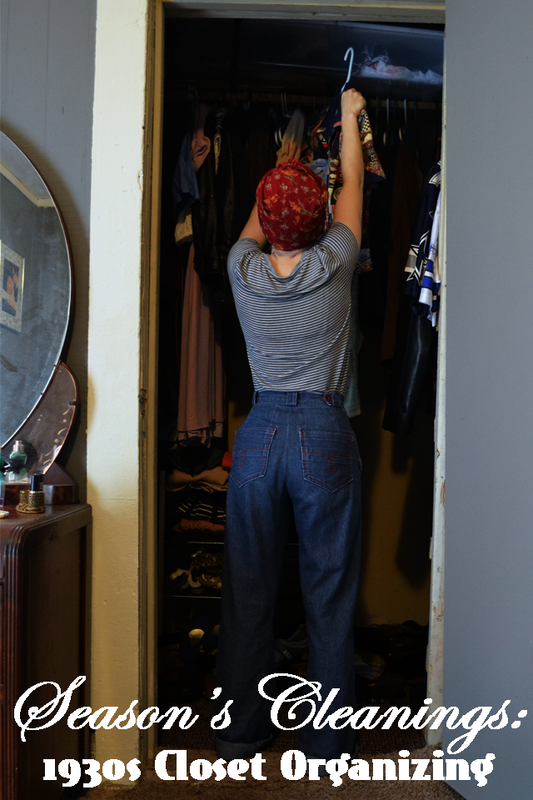 I want to be able to organize my closet, but to do it on a budget and to do it in a way that doesn't involve a lot of power tools. Here's 1930s advice to the rescue! 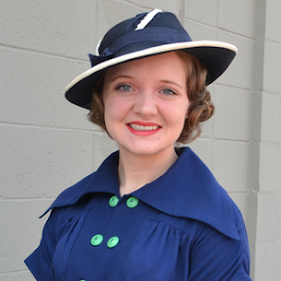 What better decade to learn to do anything on a budget than the 1930s? When I saw these couple photos of closets, I was impressed by the fact that they looked awesome… and that I could make nearly everything myself! The main pieces can totally be made or bought cheaply. There's a shoe pocket on the left door and a hanger on the right with larger pockets. The garments are stored away in garment bags inside with curtains over the front to really dust-proof everything. On top is a large hat box and what I think is a fabric hat cover (maybe?). What a gorgeous closet! To help you in your own closet organizing this fall, I've also got a tutorial to make one of those handy-dandy garment bags! It doesn't have pictures, but after a couple reads and some imagining it was clear to me how to do it. HOWEVER, if you'd like to make this and have questions, feel free to ask! I'd be glad to talk it over with you and make it happen! Mary Brooks Pickens for the win always. 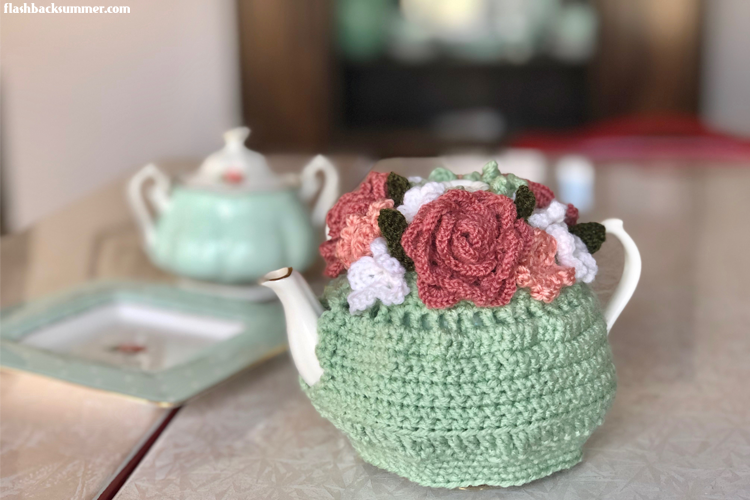 :) I've written about her before and have a deep seated respect and admiration for the phenomenal work she did and countless lives she touched through her involvement with the Woman's Institute of Domestic Arts and Sciences. Thank you for this enjoyable, inspiring share. 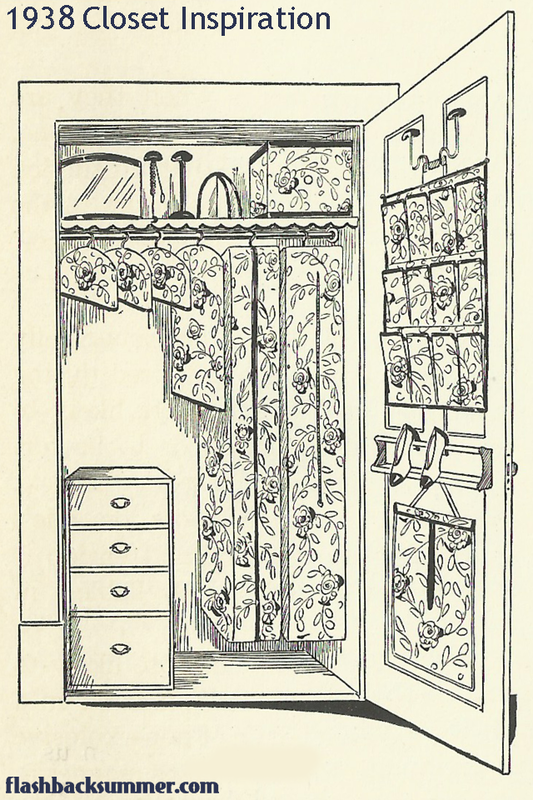 I was looking at some digitized versions of home ecc books,and even in some of my sewing books that show how to do closet organization, and I just swoon. I will try to do this clothes cover, I also saw a tutorial for a half one which prob goes to the elbows on clothing, and I might do those too! I know, right?! They're so fabulous with their matching fabrics and customized storage. 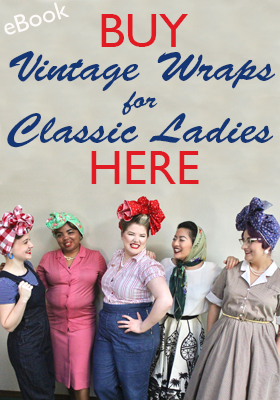 I want to work on some garment bags myself, and I'm trying to decide if I want to them all to be the same fabrics, coordinating colors, or just a mish-mosh! Wow! 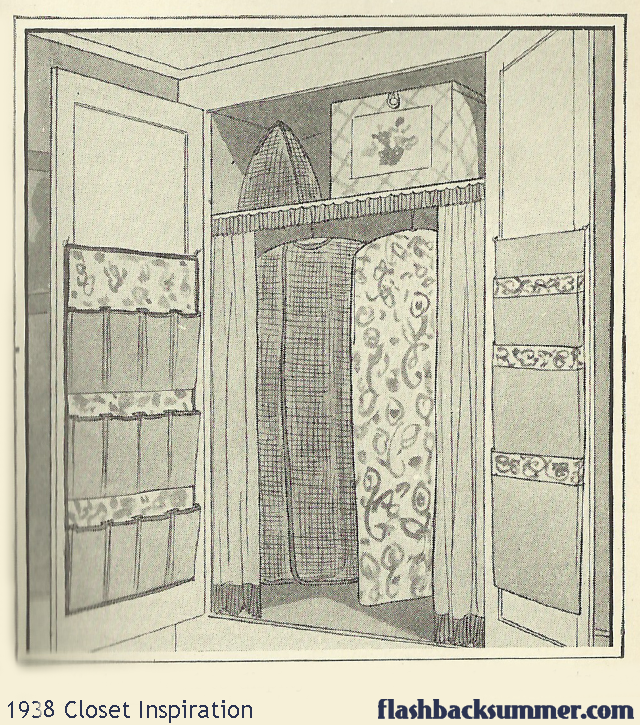 These were quite the closets. I think some of my heavier vintage floral sheets would make some great covers and easy to wash when I change seasons.